Welcome back to our Greatest Women in Translation interview series, dearest followers! After a long hiatus of setbacks, we’re finally back! Please welcome this month’s interviewee, Julia Sanches, Brazilian-born literary translator from Portuguese, Spanish, French, and Catalan into English. 1. You’re Brazilian-born (São Paulo), but work into English (from Portuguese, Spanish, Catalan and French). How is that so, considering we usually translate into our mother tongue? I’ve been thinking about this quite a lot, lately; not about how it is I translate into English – it’s obvious to me – but about the idea of mother tongues. This rethinking was in part prompted by Esther Kim and Frances McNeill’s essays in the latest issue of In Other Words. In “We May Have All Come on Different Ships, But We’re in the Same Boat Now: Why We Should Not Label Translators as ‘L2’ or ‘Non-Native,’” McNeill interrogates the validity of the L1/L2 designations (L1 being “the language you think in, you feel in, you know best, whereas L2 is the language you aspire to speak fluently”), while in “Inheritance from Mother,” Kim points to the troubling lack of heritage speakers in the professional world of literary translation, and offers ways to address this. In her essay, McNeill offers three examples that belie the L1/L2 dichotomy and interrogates whether or not one should consider the person in question an L2 speaker. Here’s my example: A person born in Brazil to Brazilian parents moves to the United States with her parents when she is three-months old. She is dropped into English-only education and quickly comes to speak English fluently. She speaks Portuguese at home and with her extended family in Brazil; they call her gringa. Eight years later, she moves with her parents to Mexico City and enters a bilingual school, where classes are imparted both in Spanish and English. She becomes fluent in Spanish – they call her güera – retains her English and continues to speak Portuguese at home. Five years later, she moves back to the United States with her family, where she attends a monolingual (English) public school. One year later, she moves with her family to Switzerland, where she attends an international school (read: where students’ common language is English). She later completes her higher education in Scotland (English) and Spain (Spanish). What is this person’s (you got it, it’s me) L1/L2? The Oxford English Dictionary defines ‘mother tongue’ as ‘one’s native language; a first language.’ So, in that respect, Portuguese is my mother tongue – it is the first language I picked up at home, from my mother, who always insisted that I should never lose it – although the notion of languages being native (i.e. inherent to, innate, naturally becoming, again according to the OED) to anyone baffles me a little; our capacity for language may be innate, but its execution has, in my experience, been very much learned. What’s more: I’m a citizen of Brazil and of no other country. Although I lived in Europe for fifteen years, it was never anywhere that made citizenship an easy path for me. After about thirteen years in the United States, I can finally apply for citizenship, though I’m not sure I’ll ever feel American. I could uncomplicate my identity as a translator by obviating the fact that I’m Brazilian, but what’s the fun in that? 2. On your website, you say you are soon-to-be chair of the Translators Group of the Authors Guild. Could you tell us more about it? We’re in the process of creating a Translators Group within the Authors Guild, following the model of the Society of Authors’ Translators Association in the UK. Generally speaking, there’s an industry standard for author contracts and terms here in the U.S. This standard wasn’t arrived at out of the kindness of publishers’ hearts, but was fought for. The idea behind creating a Translators Group is to support work to establish similar industry standards for translators. Alex Zucker and Jessica Cohen have been working with the Authors Guild on a model contract that would spell out certain contractual terms that might seem impenetrable to some translators, among other things. Another thing we’re exploring is establishing translator communities within the Authors Guild’s regional chapters around the country, to help better share information about contracts and other working conditions. The Authors Guild is the only organization in the U.S. with in-house lawyers providing legal services to authors and translators, and they’re already huge advocates for translation and translators. The idea is to focus this effort. 3. Last year, the Brazilian publishing house Companhia das Letras invited five Brazilian literary translators to talk about their professional trajectory in their blog in celebration of the International Translation Day, and you were among them. You wrote about your experience translating The Sun on My Head, Geovani Martins’ first book. On Twitter, you said you wrote the blog post in English and then translated it into Portuguese, but didn’t like the self-translation process. Do you remember why? I sound completely unlike myself in Portuguese. It was like giving voice to a stilted and awkward-sounding stranger who happened to also be called Julia Sanches. 4. You retweeted a quote by Javier Cercas at the Edinburgh Book Festival, “Translators are like psychoanalysts. They know you really, really, really well. I’m really scared of them.” On your post for Companhia das Letras (above), you said the relationship between translators and “their” authors is disturbing, unbalanced, partial and voyeuristic (curiosity: were these the words you originally used in your English version?). Could you elaborate more on the relationship between the author and their translator? What can I say but that: when I translate – especially when the book in question is such an engrossing challenge as Martins’ collection, something so distant from my lived experience – I get a tad obsessive. If you were to decontextualize my behavior, it might seem stalkerish, even. I read everything I can about the book, the author, I read the book itself a gazillion times, both in English and in Portuguese (and I’d probably read them in other languages, if it were available to me). I follow the author on Twitter if I can, and Instagram (yikes). I draw connections between what they post about music (etc) and the musical (and other) references in the book. Often, I go to bed with a translation problem at the back of my mind – sometimes even at the forefront – and wake up fretting about it, too. On good days, I’ll have a solution by the time I’m at my computer. It’s a bit like crawling into and living in another person’s skin for a long stretch of time. Or spying on a neighbor from across the street. You know near everything about them and often they don’t know the first thing about you. It’s a little bit creepy – in a totally harmless way. 5. You are one of the organizers of the And Other Stories’ Portuguese Reading Group. The 2018 group had, for the first ever, an all-Brazilian reading list (including one translated by yourself). Could you tell us a bit more about how it works? Are there any plans for another edition in the near future? And Other Stories’ Reading Groups are a rather innovative and ingenious way for the publisher (AOS) to find overlooked gems from other languages to publish in English. The idea is to put in the hands of readers some of the sleuthing, reading, and evaluating that goes into figuring out what to publish. On my side: I email a bunch of Portuguese readers and ask if they’d like to participate; then reach out to agents and ask for materials (hard copies usually, no one really likes reading on screens); we meet, in person, if possible, but usually over Skype, to discuss our impressions, which I then memorialize and share with the publishers. Rinse and repeat. It’s quite fun. Victor Meadowcroft, who will be heading the UK group, and I are currently choosing which titles to read and discuss in the fall. You should join us! 6. You write really well! I’m truly impressed and in love with your writings. Haven’t you ever thought of venturing into being an author yourself? Oh, gosh. Thank you! Writing fills me with a very particular and acute anxiety, so I tend to avoid it. Translating ticks that box for me, whatever that means. It’s thrilling, plus, I get to hang out in and between various languages, which is where I feel most at home. 7. I will take advantage of your inside view into Brazilian literature and ask for recommendations. What books do you personally recommend, translated or not? I’ve recently finished reading Emilio Fraia’s Sebastopol, which I deeply enjoyed. The prose is just my style, limpid and charged. He’s also quite masterful at creating suspense, at leaving things unsaid, at giving voice and weight to silences. 8. I could keep asking you a ton of questions, but I’ll leave you for now. So now it’s your turn to nominate our next Great Woman in Translation. I’d like to nominate Charlotte Whittle, an acrobatic translator from Spanish whose recent projects include Norah Lange’s People in the Room and Jorge Comensal’s The Mutations. She is also one of the editors of Cardboard House Press and periodically holds cartonera workshops. Aside from all this, Charlotte is an amazing storyteller; she’s got an eye for the most off-kilter and delightful details and remembers them, too. We keep each other sane and safe from bouts of imposter syndrome. I think of her as a co-conspirator. EXTRA! EXTRA! There’s a competition in the air. This is an extraordinary blog post to let you know that the Top 100 Language Lovers 2015 is on. 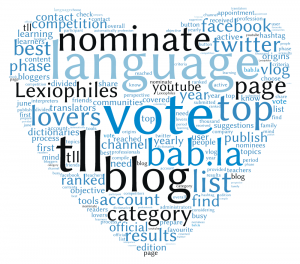 It’s a competition organized by Lexiophiles and bab.la to find the 100 best language lovers, divided into five categories: Language Learning Blogs, Language Professional Blogs, Language Facebook Pages, Language Twitter Accounts and Language YouTube Channels. You need to indicate each category separately. The nomination phase ends on May 24th. Welcome back from the holidays, dear followers! And Happy New Year! 😀 I hope you have enjoyed them as much as I did and are ready to take 2015 by the horns — I am! 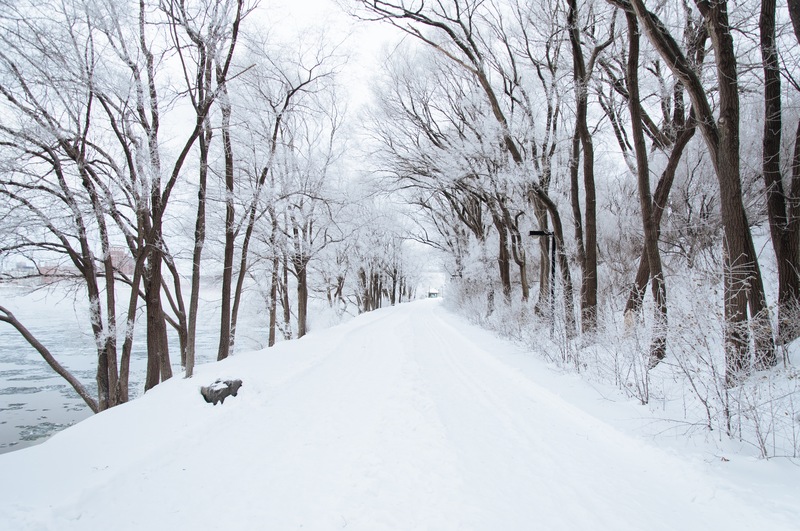 Our first 2015 guest is Catherine Christaki, a Greek translator currently living in Canada. In order to get the most out of social media, you must develop an ever-expanding network. How do you do that? Who should you follow on Twitter and connect with on LinkedIn? How do you find and choose the right people to follow or connect with? These are some of the ways I’ve used to expand my network on LinkedIn. Use the ‘people you may know’ feature, accessible from your home page or your contacts page. LinkedIn will make suggestions based on the people you are already connected to – the more people you connect to, the more accurate these suggestions get. It’s likely that you will have common acquaintances (or ‘mutual connections’) with some of the people with whom you are connected. Look at their connections list in their profile, and find the people you have in common. LinkedIn will give you a list of all the people who have worked at a given organization. If you add the organizations you have worked for to your profile, LinkedIn will keep you updated when people who work there join up. LinkedIn groups help you find like-minded people to connect with. If you strike up a conversation with someone in a group or find what they have to say interesting, try inviting them to connect. Next to the people search at the top right of the LinkedIn interface is an Advanced button. If you click it you will find a page where you can do an advanced search for people by profession, company, or whatever’s relevant to you. It’s similarly easy to find great people to follow on Twitter. This includes colleagues, existing clients and other professionals, like your website designer. Maybe you just got back from a networking event. Many professionals include their Twitter handles on their business cards so they’re easy to find. Otherwise, use Twitter’s Search function to find them by name. In the Homepage of your Twitter account you’ll see a ‘Who to follow’ section on the right-hand side. Click ‘View all’ and then click on the names to check out the profiles and timelines of the accounts that look interesting to determine whether you’d like to follow them or not. Every Friday, Twitter users use these hashtags to recommend their favorite Tweeps to their followers. That’s a great way to find new people to follow. Another great use of Twitter’s search function. You can search for the topics of your interest (usually #xl8 for translators or #1nt for interpreters), with the operator OR between the words, and see all the latest tweets that include one or more of those hashtags. In case of conferences, find out which hashtag is/was used for the event of your choice (for example #ata55 for the last ATA Conference). What is your favorite way of finding people to follow and connect with? Do you follow everybody back automatically? Let us know what you think and what is your follow/connect policy on social media! My social media strategy is exactly the same as yours. I definitely do not follow everyone back. I only follow those who contribute with interesting things on Twitter. On LinkedIn, I only accept invitations from those I already know somehow or that writes a personal message explaining why they would like to connect with me. I absolutely despise those who randomly add people without even knowing them. What about yours? Do have any strategies to follow people (back) on Twitter and send a friend request and/or accept people’s invitation on LinkedIn? Catherine Christaki has been a full-time English-Greek translator since 2001 and co-owner of Toronto-based Lingua Greca Translations since 2012. Her specializations include IT, Medical and Technical texts. In 2013, she translated the popular guide for translation buyers, Translation: Getting It Right, into Greek. She is active on social media, especially Twitter @LinguaGreca, which has been voted among the Top 25 Language Twitterers 4 years in a row (2011-2014). 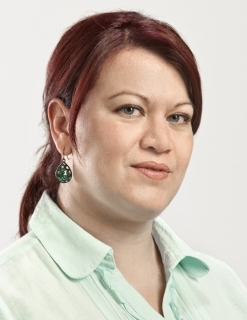 She writes the translation blog Adventures in Technical Translation and regularly talks about social media and blogging for translators in interviews and conferences.